Professor Boyd received his BS degree in Physics (1969) from the Massachusetts Institute of Technology and his PhD degree in Physics (1977) from the University of California at Berkeley. His PhD thesis was supervised by Professor Charles H. Townes and involved the use of nonlinear optical techniques for infrared detection for astronomy. 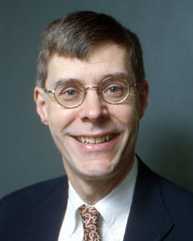 Professor Boyd joined the faculty of The Institute of Optics of the University of Rochester in 1977, and since 1987, has held the position of Professor of Optics. He also holds a joint appointment as Professor of Physics. Professor Boyd is a Fellow of the Optical Society of America and a Fellow of the American Physical Society. In 2002, he was named the first M. Parker Givens Professor of Optics. Professor Boyd's research interests are in the area of quantum optics, particularly in the areas of nonlinear optical interactions, nonlinear optical properties of materials, and applications of nonlinear optics including quantum and nonlinear optical imaging. He is the author of Radiometry and the Detection of Optical Radiation (1983), Nonlinear Optics (1992), is co-editor of Optical Instabilities (1986) and Contemporary Nonlinear Optics (1992). Professor Boyd has published approximately 230 research papers, has been awarded six US Patents, and has supervised the PhD thesis of 26 students. For further details, go to Professor Boyd's home page at: http://www.optics.rochester.edu/~boyd/.